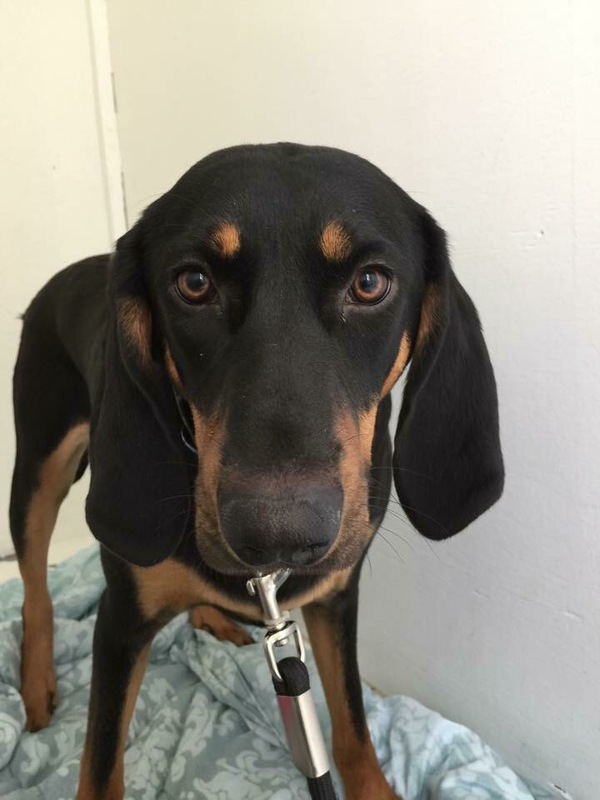 Lost Black And Tan Coonhound. Please Share: | Sack-Vegas!!!! Hey folks, please have a read below and share, if you don’t mind. Thanks! “Hi there. This may be a stretch but I was wondering if you could post this for me. I live in Hammonds Plains and on Friday April 24th around 6pm my puppy was spooked and took off, I haven’t seen her since. I have contacted animal control, all the vets in the area, posted signs, posted it on lost dog sites, on my Facebook page and put up signs and posters. I heard from a friend that she may have been seen in the lower Sackville area with someone. Her name is Sia, she’s an 8 month old Black and Tan Coonhound. She didn’t have a collar on but is microchipped and weighs about 70lbs. I just had her spayed 3 weeks ago so her belly is shaved and you can see the incision from the procedure. Please note that there is a reward for her safe return. I’ve attached a photo of her and hope you can help. My name is Tasha and my number is 902-497-3554 and my email is Tashakmc@gmail.com. Thank you so much for your time and I hope you can help. Posted by Sacky on April 27, 2015 in Uncategorized. Shared – will keep an eye open! Shared and will keep an eye out, I work next door to you so we have a poster in the shop window for you as well. Hope you have her home soon!